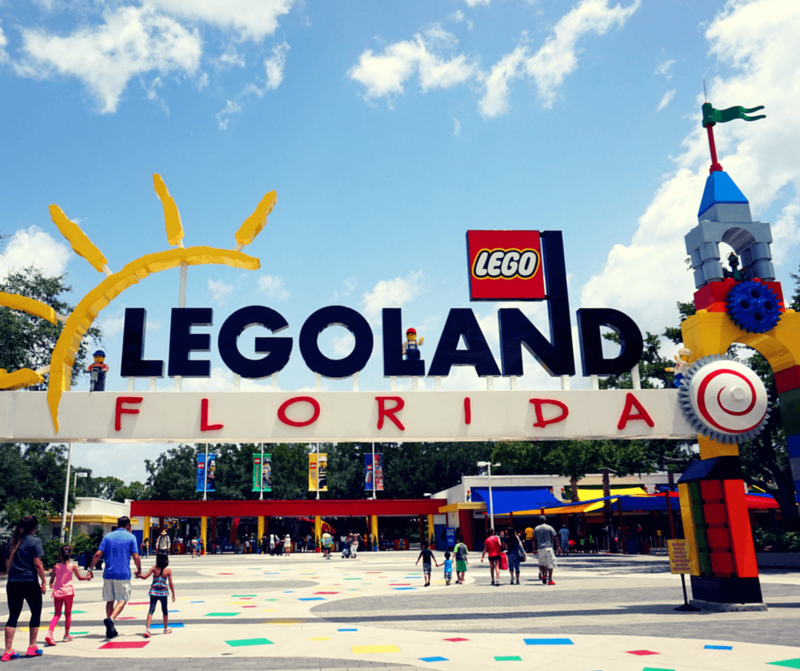 Spend some time in Legoland, Florida – the theme park where everything is awesome! No one will blame you for thinking of Disney World and Universal Studios when someone mentions theme parks in Orlando, Florida. But did you know there’s a cheaper and less crowded alternative? What most people don’t realize is that Legoland, located in Winter Haven, is not even an hour south of Orlando and is a great way to escape the crowds. We had a great time in Legoland when we went. We were probably the only ones there without kids (we’re young at heart!) but all the kids we saw were obviously enjoying themselves. There are 7 Legolands all over the world, but the one in Florida is the biggest. There are rides and rollercoasters, shows, 4D movies, restaurants, a waterpark, and now even a hotel that is probably the coolest hotel we’ve ever seen! Don’t worry, the actual pizza isn’t made of Legos. It was actually pretty damn good! We were very happy with our day trip to Legoland. We didn’t have to wait in any crazy long lines like we would have at Disney World, the staff was friendly, and the food was great. We were worried that the “Everything is Awesome” song would be playing all day and at every corner, but it wasn’t. Legoland also has this cool thing where if you have a Lego minifigure, you can go up to a Model Citizen (Legoland employee) and trade it for one of their minifigures that they have on their name tag. Plus, we LOVED their Miniland USA area. I mean, who doesn’t love to see their favorite cities in miniature form?? – You’re in Florida, having both sunblock and an umbrella and/or poncho are a must. – Wear comfortable shoes that you don’t mind getting wet. Even if you don’t go to the water park, there is still a chance they’ll get wet. – Bring snacks. You are allowed to bring in bottled water and snacks that fit into soft-sided coolers/bags no bigger than 8.5” wide x 6” high x 6” deep. Sorry folks, no alcohol or glass containers. So next time you’re traveling through Florida and want something fun to do that is cheaper than Disney World and less crowded, consider going to Legoland. It’s awesome! What a fascinating place. And, of course, Legos are not just for kids. Lots of adults are SERIOUS about their Lego creations. Thanks for sharing! We’ve never been, but Legolan does look like a good time! I think we will have to check it out next time we are in the area! Hi Jenna, I think you’ll enjoy it if you do. I loved Legos as a kid! Visiting the park looks like great fun! Amazing how everything from a pizza to a person can be made out of legos. Thanks for the post! We’re going back to FL in January and I’m hoping to find some non-Disney attractions to go to. Does Legoland have rides or anything, though? How much time did you spend there? Hi Christa, they do have rides. Mostly for kids obviously, but my boyfriend and I were able to get on a few as well. And we spent almost the whole day there. If we’d had swimwear we would have stayed longer since they have the water park as well. Uh, I really want to go to Legoland! It looks like you had such a great time. Thanks for sharing! Glad you liked it Eva! How cool! I honestly thought that the only one was in Southern California. I wanted to go, but I heard from a lot of people that it’s only for kids! If this one is the biggest one then I’m sure I’d be entertained 🙂 Something to consider next time I go to Orlando! It’s definitely fun for adults too. I would love to go to Legoland. It looks like fun even for an Adult. I love building things with my legos as a child. So did I, I’d play with Legos for hours!